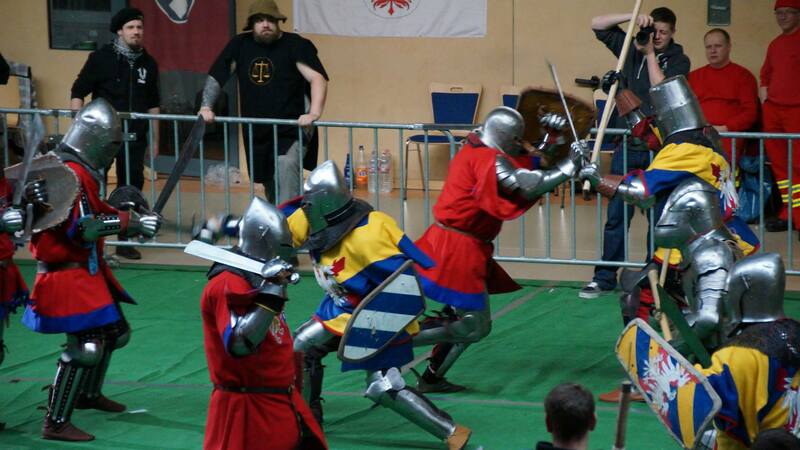 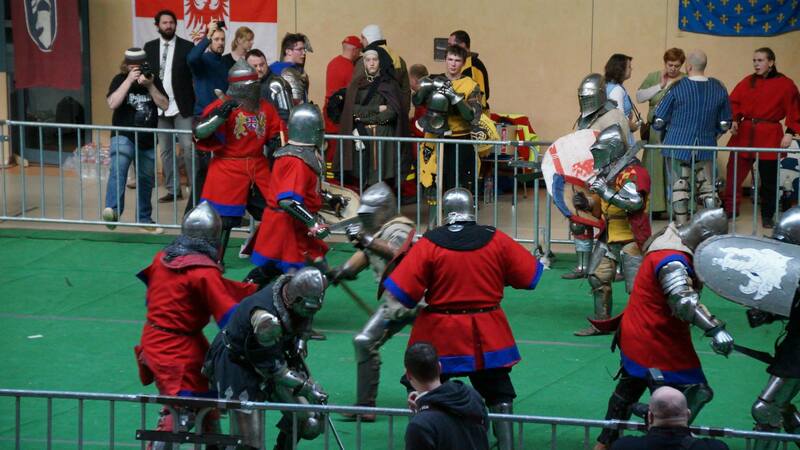 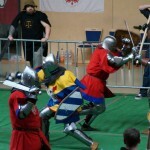 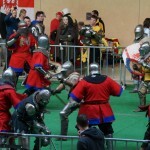 Battle Heritage took two teams to Bernau in 2014. 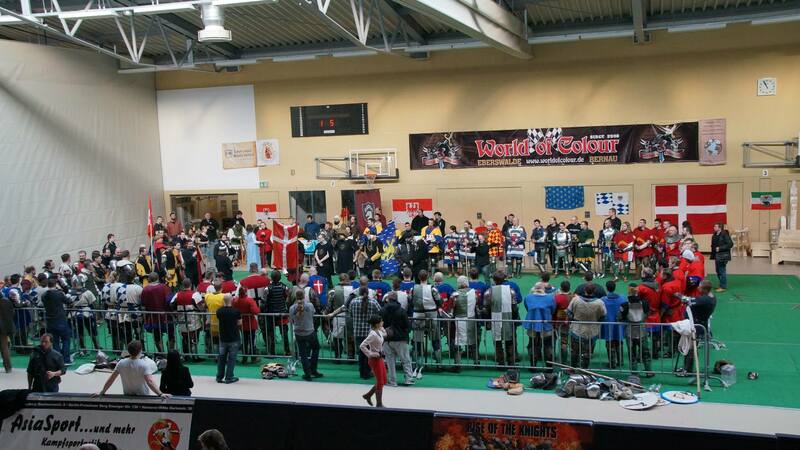 The event is held over winter at an indoor venue on the outskirts of Berlin and is a qualification event for the German national team. 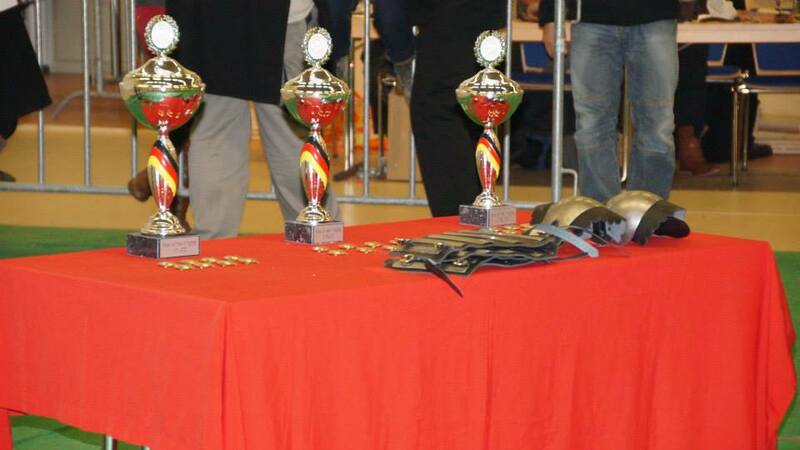 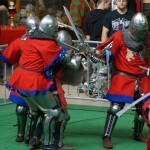 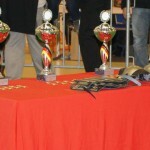 Invitations are sent out to teams all over Europe and it has become a mainstay of the international fighting calendar. 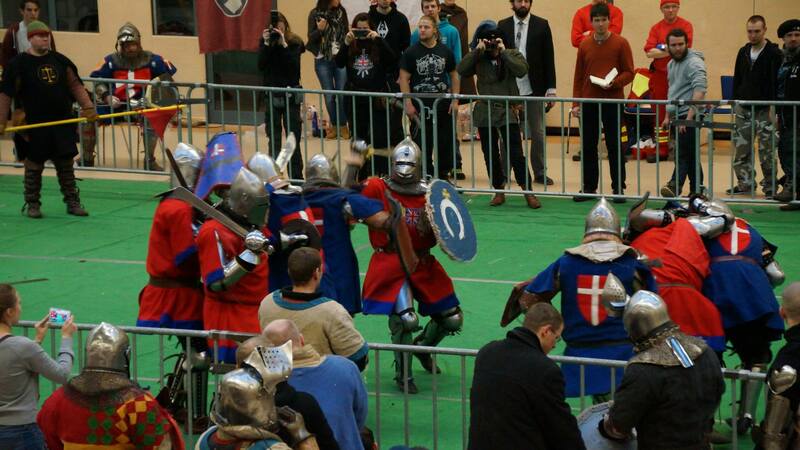 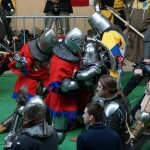 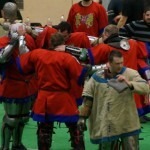 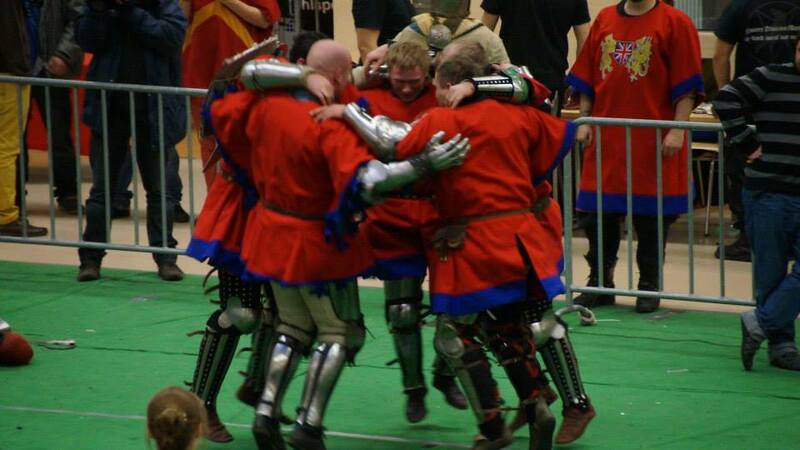 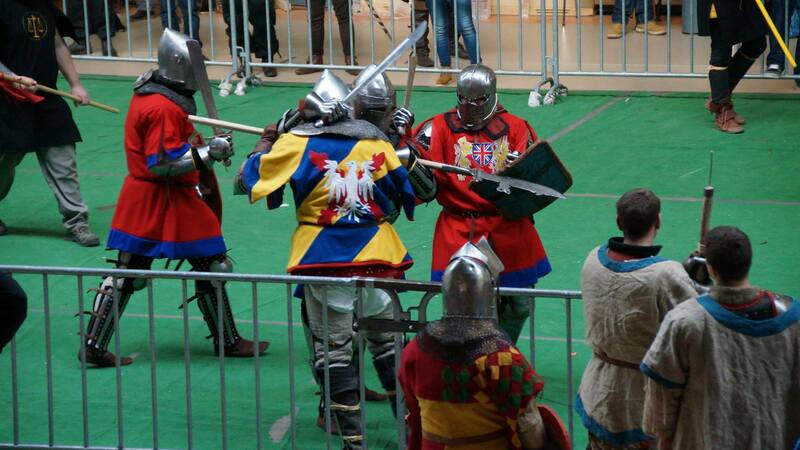 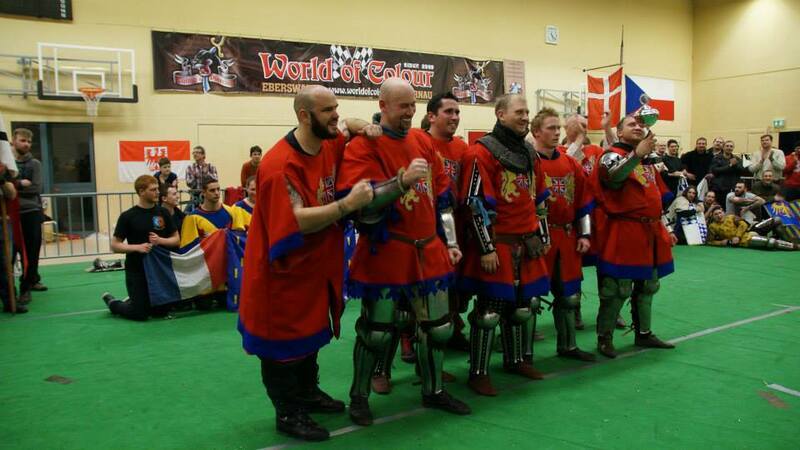 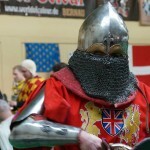 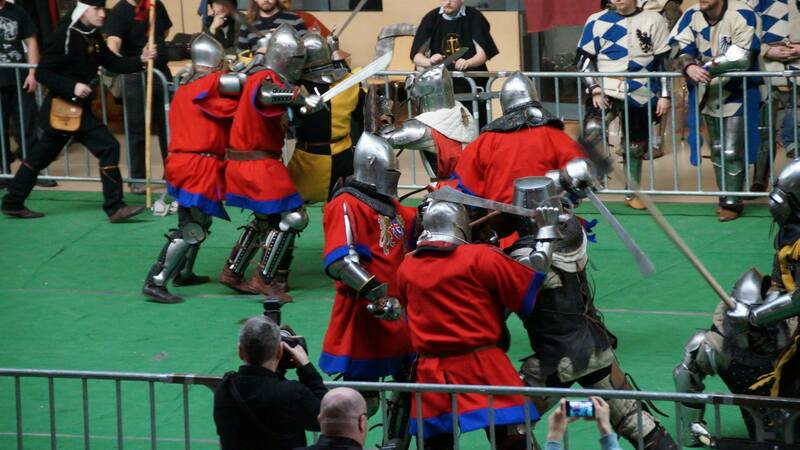 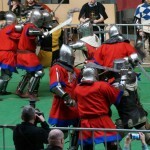 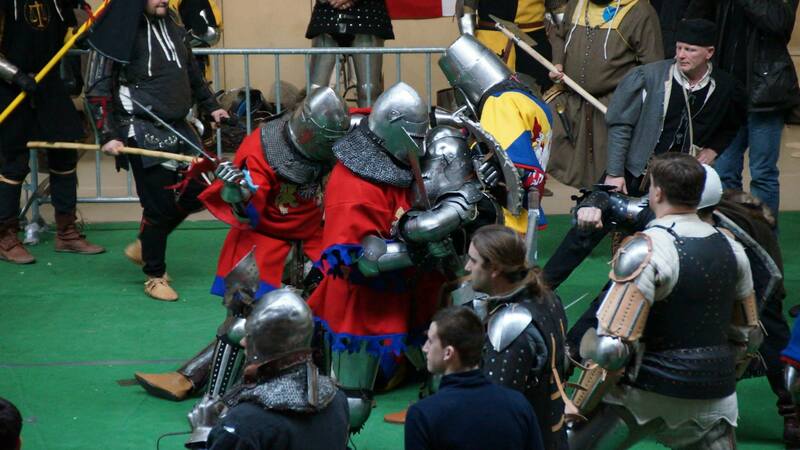 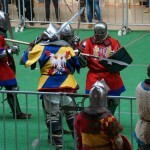 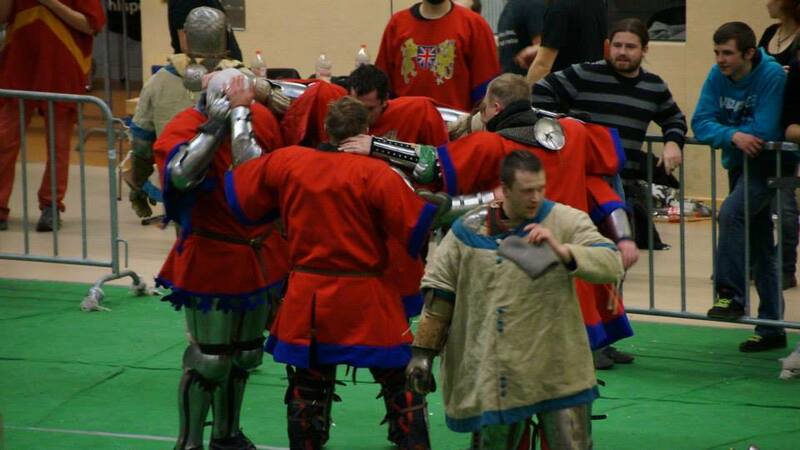 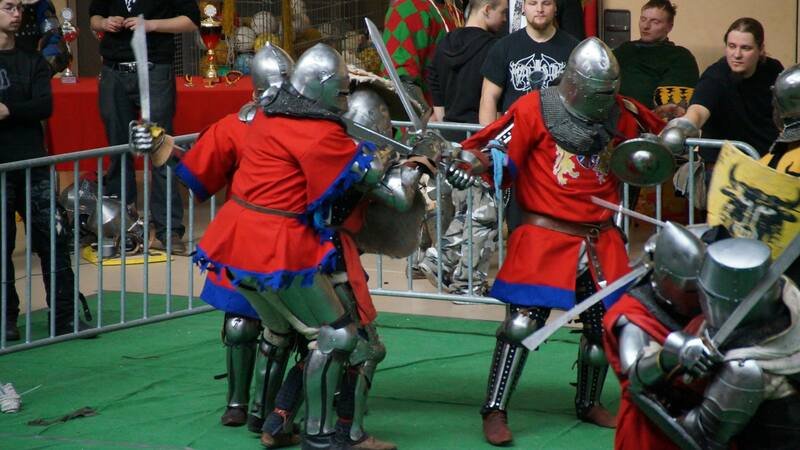 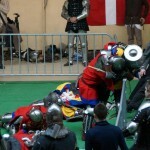 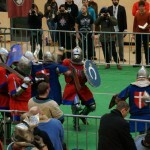 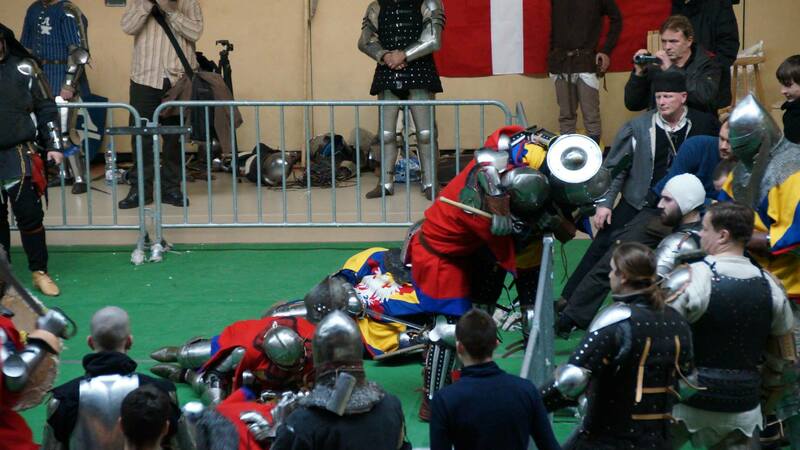 For the 2014 event we fielded two teams and they fought long hard battles against some of the toughest teams in Europe. 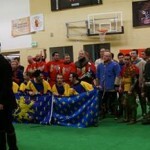 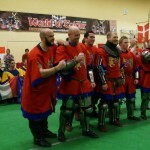 Team 1 had no reserve fighters and completed 14 undefeated rounds to finish as undisputed winners of the event. 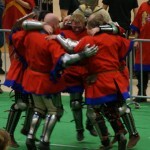 Team 2 had to retire due to injuries leaving them with only 4 fighters, but had done enough to come 5th overall for the event! 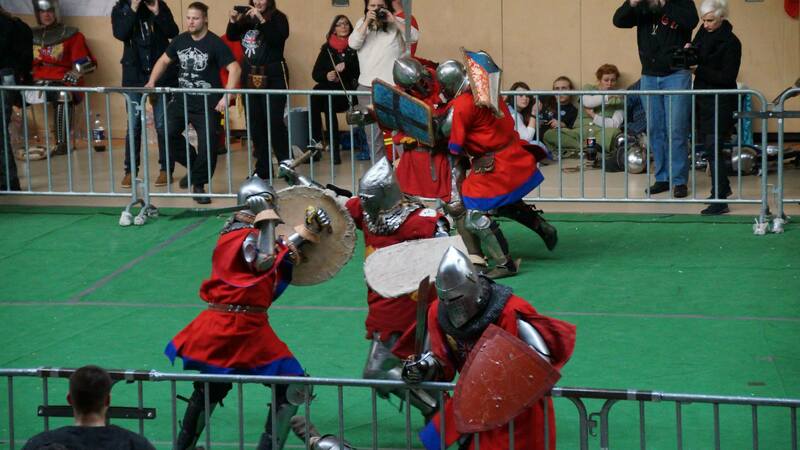 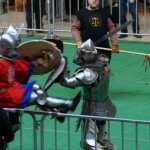 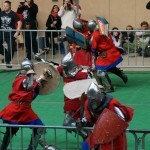 Below are some sample pictures of our boys in action. 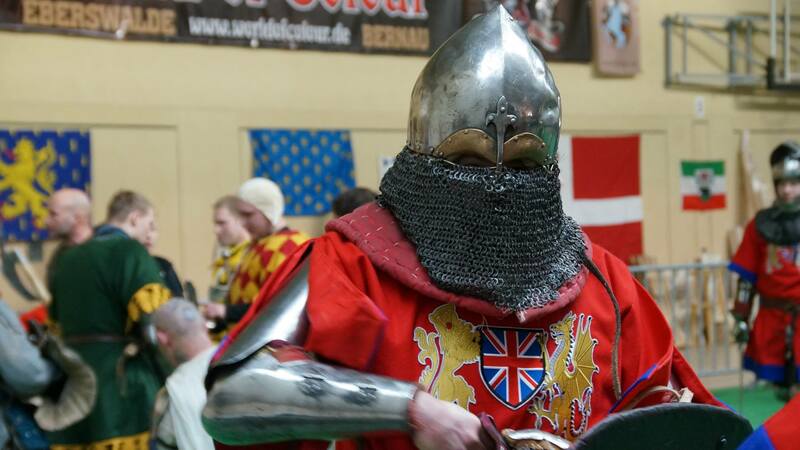 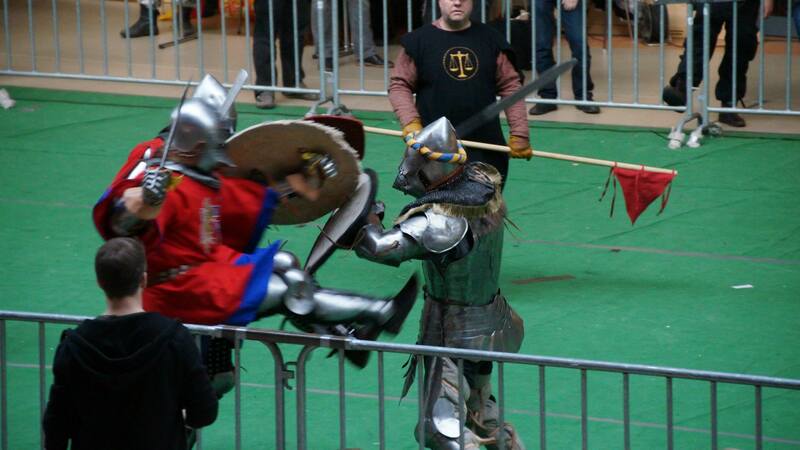 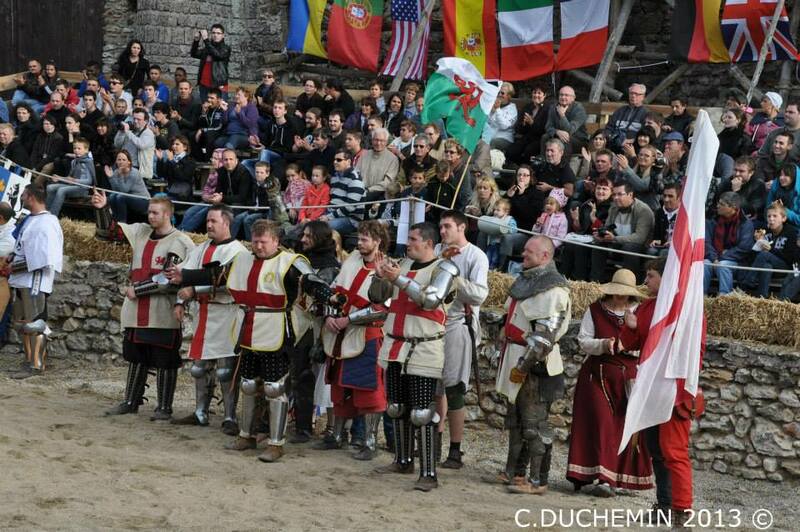 For more see the Rise of the Knights 2014 gallery.